Sony has announced two new PlayStation 3 editions will be releasing in Europe. The new models will come in either Red or Blue with 500 GB of space, each including two matching DualShock 3 controllers. The consoles will be available from February 20th 2013 retailing for €330. At the Tokyo Game Show, Sony revealed that a 250GB “Super Slim” PS3 model would be released in North America, alongside the 500GB model (in Europe, the 12GB model takes the place of the 250GB model). It turns out that the new models were release in part to tempt Xbox 360 users away with cheaper hardware. 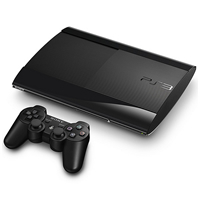 The new “Super Slim” PS3 model has a recommended retail price across Europe, but SCEE won’t have a set price in the UK. Instead, Sony will let individual retailers set the price themselves. The new models hit stores from September 28th, but gamers should shop around for the best deals before committing to purchasing it. Images of what the new PS3 model have been leaked, showing what the new model looks like. The images show what looks like a sliding cover for disc on top of the console, and matches the overall look of the FCC filing. As the images are not directly from Sony, we’ve filed this under rumours for now. 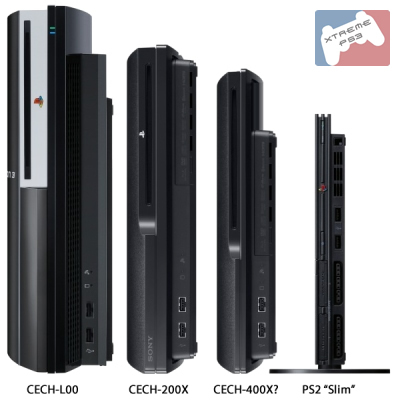 When the “Slim” PS3 model (CECH-2000A) was announced announced at GamesCom 2009, Sony has made significant improvements in the hardware. The new model features a larger hard drive, 32% size reduction, 36% weight reduction and 34% less power consumption. What could a new hardware revision have in store? PS3 Firmware 4.20 was released a few days ago, and it looks like a few other changes made it into the system software that weren’t mentioned in the official changelog. A couple of changes were picked up by PS3UltraSlim that might back up rumours of a super slim PS3. If you are finding the black PS3 somewhat boring, then this bit of news is just what you need. 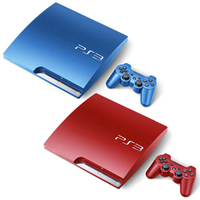 Sony Japan’s site shows two new PS3 colours: Scarlet Red and Blue Splash. The new colour variants are joined by a new PSP with black and red bodywork and make up a significant push for sales this Christmas by the Japanese branch of the console giant. A new PS3 model is bring shipped out to retailers this week, but this new model features a slight change for the worse. The new model, referred to as “K” chassis, actually removes a video output feature preventing HD Movie playback using component cables. If you want HD support, you need to use an HDMI cable. 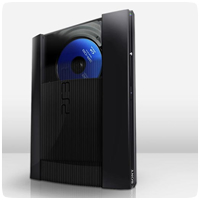 Japan has received two updated PlayStation 3 Slim units, but don’t add any additional hard drive space or new features. The CECH-3000B model retains the 320GB HDD found in current ‘B’ models, while the CECH-3000A (160GB) model appears the same too. The two main differences are the power consumption rating which drops 30W to 200W and a drop in weight from 3kg to 2.6kg. With Killzone 3 coming out later this month, Sony will also be releasing a new PS3 bundle to coincide with the release of the game. 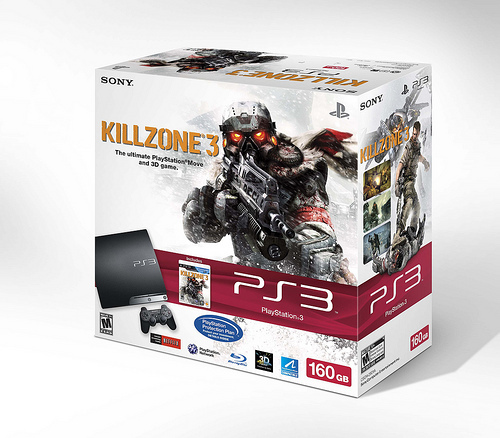 A Limited Edition Killzone 3 PS3 Bundle includes the 160GB PS3 system as well as a copy of Killzone 3 – all launching February 22 for $299.99 (MSRP).